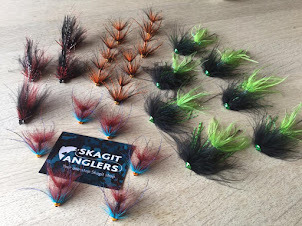 As a follow up to the last post here's our opinion on gear selection specific suited for night fishing for sea trout on smallish streams like we fish here in Denmark. To understand the reason for our choises of rods and lines we have to start somewhere else. 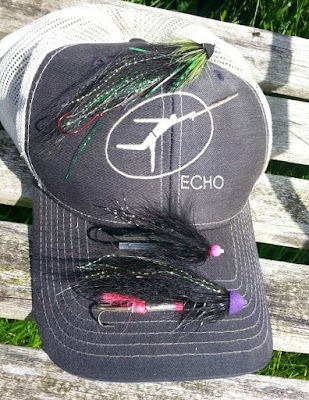 Several years of fishing for sea trout has told us an important lesson about the speed of the fly. You actually can't fish the fly too fast. It took us some time to figure that out. Speed is the key to succes. The fly has to move at a speed more than twice that over the current. If not you will still see a lot of fish comming to your fly but they more often than not just refuse the fly and go back to where they came from. As exciting as that might be it can also be very frustrating when this occurs over and over again - often with the same fish comming up more than once. To change that game in your favour you need to speed up the fly and speed it up fast. Stripping the fly activly during the swing is the key to succes. A 90 degree cast to the opposite bank of the stream - a quick stripping of the line - og then hold on tight. It is "just" a matter of keeping at it and eventually that big trout will come charging at you fly. Keep you cool - and wait until you feel the weight of the fish before you set the hook. Easy said - but not very easy to do! This post was ment to be about gear selection but guess we will do that in another post. 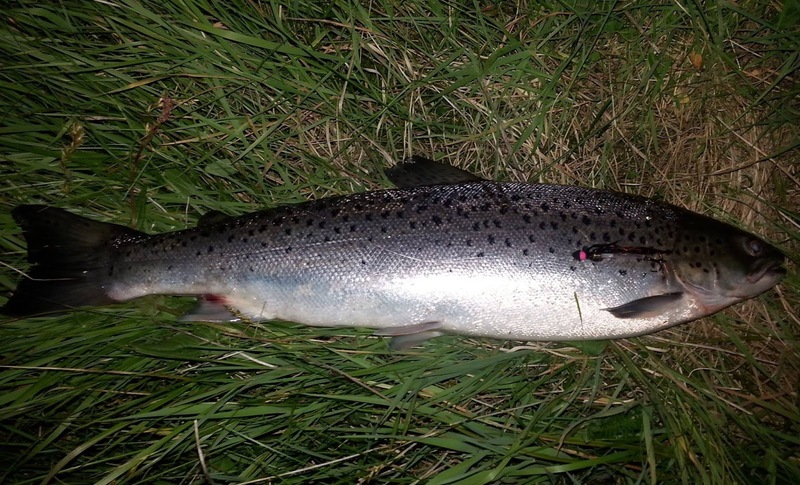 But the main issue to picking the right gear for night fishing is to be abel to fish a big fly very active and keep stripping it during the swing. 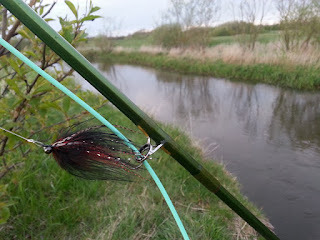 In small streams like in Denmark and elsewhere you need a short line/shooting head to do that with succes. We use ECHO Skagit Switch line or the brand new Command Skagit Head from OPST. But more on short lines, long leaders and rods later.